Welcome to Healing Hands Massage! Proudly serving residents of the Palouse since 2004! Listen to what your body is trying to tell you and start taming unwanted stress, pain, and tension with therapeutic massage by Healing Hands! Our team is comprised of highly trained, experienced, and licensed massage practitioners. If massage is a new experience for you, rest assured that Healing Hands provides outstanding professional massage services in a safe and comfortable environment. 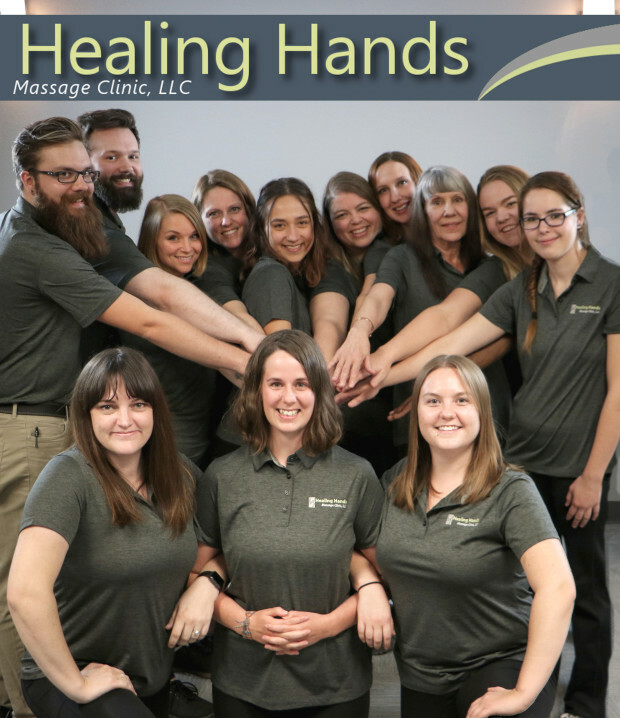 Our therapists work with each patient, carefully evaluating the mechanisms involved with your problem areas, and identifying the proper combination of clinical massage techniques to best meet your needs and goals. We customize each massage we give by employing a variety of manual bodywork and massage techniques and modalities. When it comes to using Healing Hands for referred medical massage therapy, we can help you with this as well. For your convenience, we bill most major insurance companies. We also have a great working relationship within the medical community, so please feel free to talk to your primary care provider to find out whether or not massage therapy could benefit you! Give us a call or send us an email when you are ready to book your appointment or if you have any additional questions. We hope to see you in our office very soon!